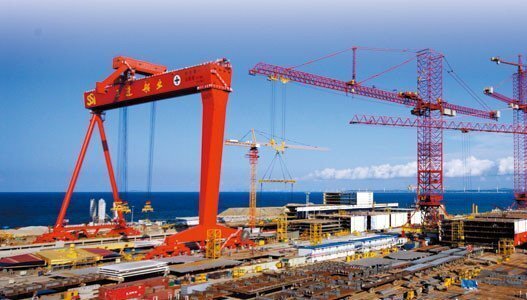 The restructuring plan for bankrupt Weihai Samjin Shipyard has been approved by both creditors and the local court and the shipyard is expected to resume operation in 2016, Chinese local media has reported. Korean-invested Weihai Samjin Shipyard suffered from a series of order cancellations, and was declared bankruptcy by Weihai Intermediate People’s Court under a request from creditor bank ICBC in September 2014. The local government has since been looking for new investors in an effort to rescue the yard. After negotiations with a number of potential investors, Weihai Samjin signed an investment agreement with Zhejiang-based Xiaoke Holdings, a subsidiary of Zhouji Group, a multi-sector company with businesses involved in financing, heavy industries, energy and real estate. Xiaoke Holdings has taken over Weihai Samjin, and is working towards the shipyard resuming operations in 2016.